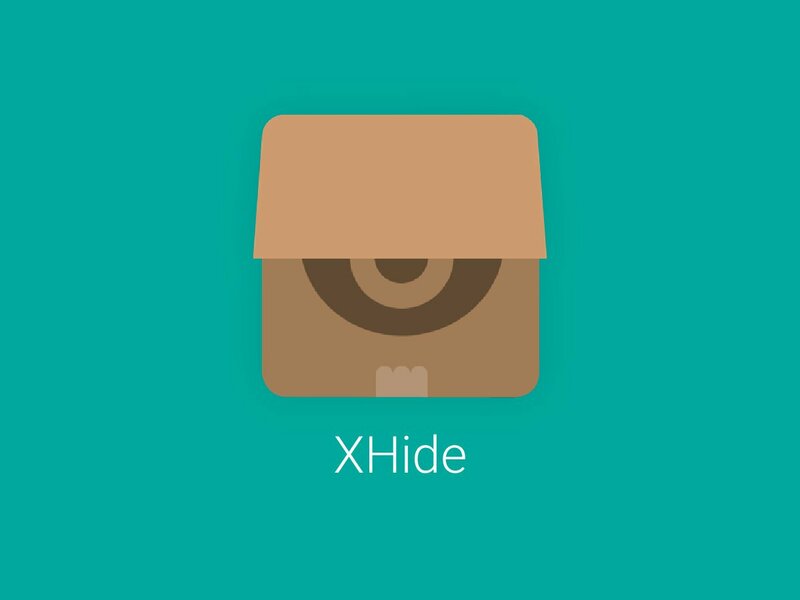 • Xhide is a secure vault folder found in infinix phones running on XOS Chameleon or Hummingbird. • It has its own special way of unlocking and accessing it, which is not common among every other smart phones out there. • The Xhide icon can be totally hidden from your phone's app drawer. • It is simply a way of hiding your files inside an already hidden app. So lets get to the details in full. Well, i have been saying it, and i will keep saying it, there are just a lot of features in our infinix smart phones, lying down there, waiting to be used, but many of we infinix users are not putting them to good use, maybe because of ignorance, or simply maybe because we never knew they were there. The Xhide is one of those numerously ignored features that i was complaining about. So lets break it down by telling you guys what the xhide is, what it does, and how to set it up on your infinix smart phone, maybe that will make more people learn how to use their smart phones to its fullest possibilities. 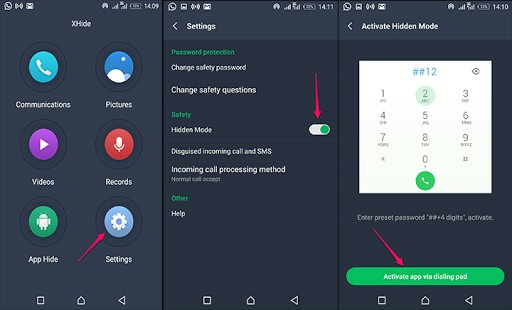 #Enjoy..
Read Also - Some problems people encounter with their Infinix Xhide app, and here's how to solve them. So if you must know, the xhide, or infinix xhide rather, is a very handy tool that comes pre-installed with all infinix smart phones running on any version of XOS Chameleon or Hummingbird, phones like the Hot 4, Hot 5, Zero 4, Zero 5, Note 3 and 4, and all the Infinix Hot S series should have this nifty feature already pre-installed in them. And what it does is simple, it is more like a secured vault folder, where you can easily move all your files (apps, videos, mp3(s), photos, contacts, messages) which you don't want them to be seen by the public. After that, you can as well hide it completely from your phone's app drawer, so nobody will even have a clue that it is there. And secondly, to open the app itself, it has its own special kind of way which is not very popular with the other ways of inputting a code to open a locked app. No, in this case, you will have to input the code in your device's phone dialer app. and the codes look like this. But wait, one more cool stuff before you leave. 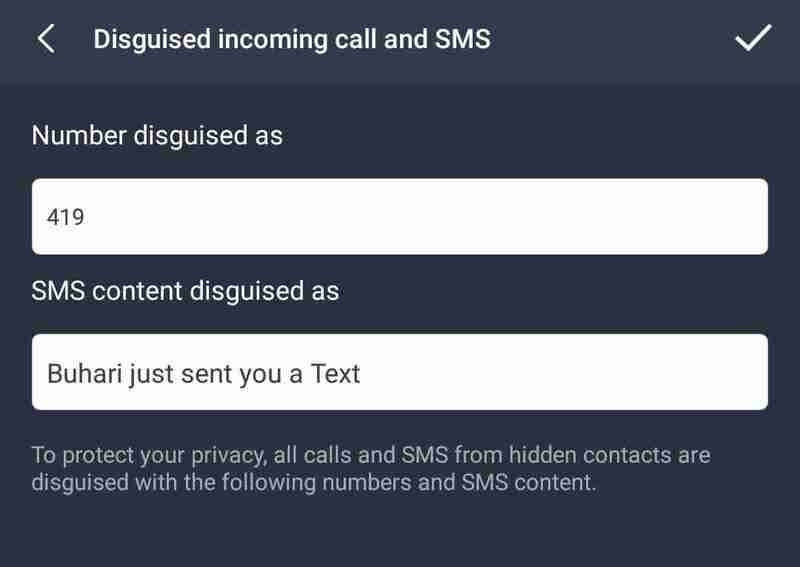 Now not only is the xhide used to hide files alone, it can as well be used to disguise incoming calls and text messages in your phone. Like you can make it change the name of who ever is calling in your phone, so people wouldn't know who called you. Incoming calls will display as "419", while text messages will show as "Buhari just sent you a text"
So we already discussed Indepth about that how to do that in one of our previous articles.. which means you can read it by following the link below. 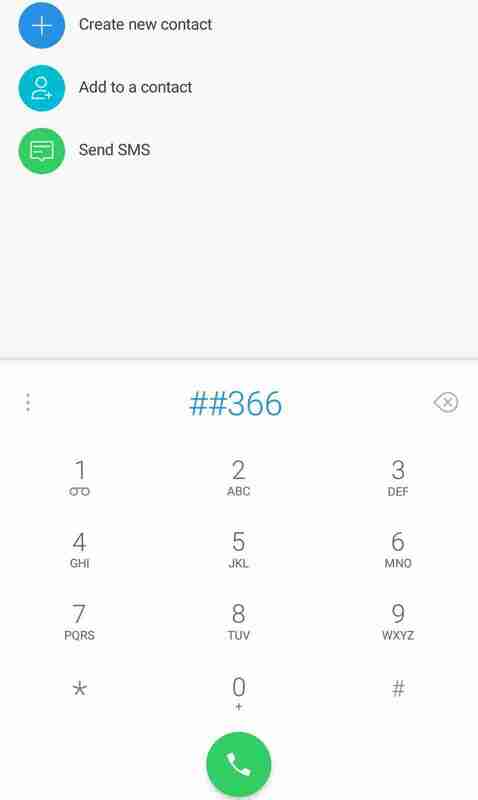 Read Also - How To Disguise Incoming Calls On Your Infinix Smart Phone Using The Xhide Feature. leaving us a comment on this in the comments box below. Share this article and make sure to subscribe to our newsletter. 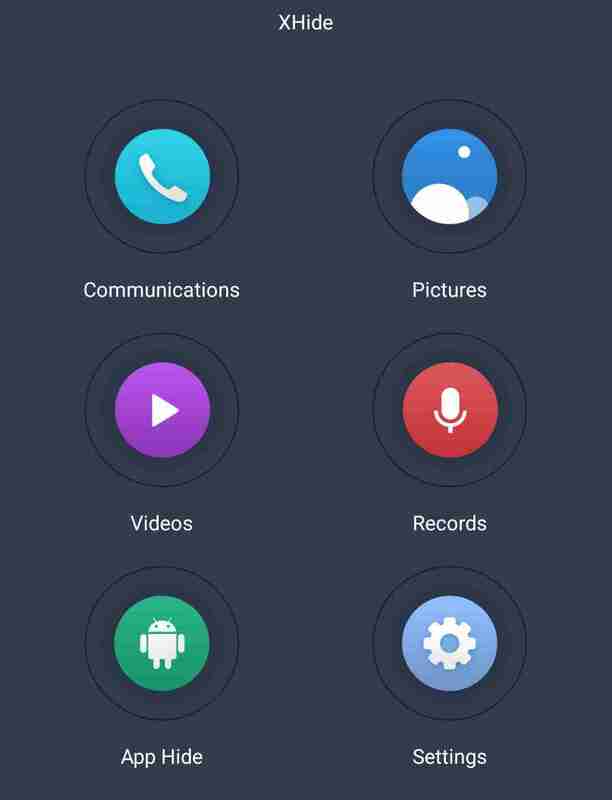 • Here is everything you never knew about the Infinix XClub Mobile Internet Forum App. I got an infinix hot s3 recently, which uses the hummingbird Xos. However the xhide app isn't pre install and attempt to install it failed. Any idea on what to do. Hello Bro you can go to Google Play Store and download the "Phone Master" app. It does pretty much everything you'd do with the Infinix XOS Launcher as it comes bundled with Xhide, App Locker, System Manager and many more.. enjoy. No bro, the Infinix Note 5 is an androidOne smart phone so it doesn't come with all those apps preinstalled in it.. But if you want something like that, you can downnload an app from Google Play Store, the name is Phone Master, and it has stuffs like Xhide and App Freezer already bundled with it. how can we find xhide in phone master in infinix note 5? Hello Bro/Sis...I am sorry to tell you, but the Phone Master app currently doesn't support the Xhide feature. Please I can't find my xhide after I hid it on my phone, how do I get it back? Hello Life of Solomon, sorry for your loss.. but there's a way you can get around it..go to your phone's dialer app and dial this code "####".. it will bring out your Xhide and prompt you to change the password if you would want to... or you follow this link and follow all instructions written on it.. Please write back to us to let us know if we were able to solve your problem..Cheers. Hello Unknown, to hide apps using the Xhide app, when you open the Xhide app itself, from the list of icons presented to you, you will see one written Video on it, another one says Music, another one says Photos and the last one says "Apps".. Select the one that says apps, and you will be presented with a list of all the third party apps that is currently installed in your phone.. Select the ones you want to hide and press okay. that should do the trick..
And to make the Xhide app to disappear itself, you've got to activate the Hidden Option from inside the app..
Go to settings inside the app, locate "Hide Xhide".. you will be asked to set a unique pass code which can only be access through your phone's app dialer.. Just follow the prompts shown to you one step after the other.. and in less than a minute, you should have your xhide app completely hidden from intruders. Cheers.. Please let us know if we were able to solve your problem and Subscribe to our free newsletter too if you haven't done so.. thanks. Hello.. sorry about your issue but yours is probably a software problem from the Infinix's end. Go to your phone's settings and check if there is a software update available for your phone.. If there is none, try updating your Infinix XOS Launcher to its latest version through Google Play Store..Let us know if any of those steps were able to solve the problem. What does it say when you try to make use of it?